The above is an actual conversation I had with a talented and respected maker of wine. I had another, eerily similar conversation with a wine educator soon after when tasting yet another white Burgundy I suspected of the B-funk. Both cases are interesting. Not because I want to argue that I possess some superior ability to detect Brettanomyces—a particular yeast that can produce wet horse, barnyard and other (more pleasant) leathery-earth smells in wines. You’ll soon see that just isn’t the case. Instead, I think it’s worth discussing because both of these experienced wine tasters simply didn’t think it possible for Brett to survive in white wines. It goes against conventional wisdom. And yet I won my bets in both cases. Photograph © Andrew Dunn, 1992. 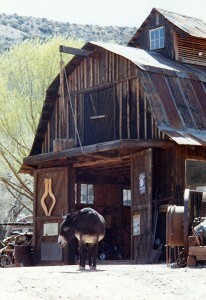 In French wines especially, notes of barnyard and earth are often attributed to terroir and held up as models of “transparent” winemaking. 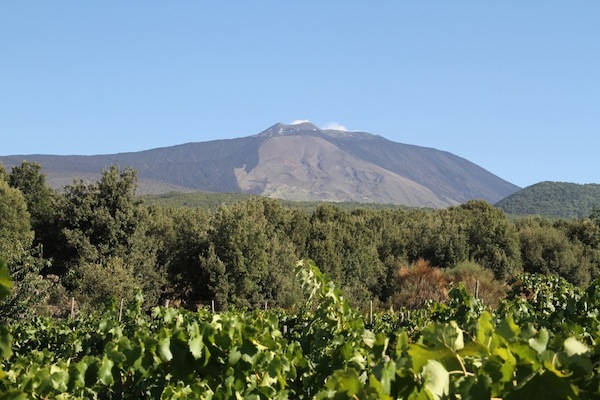 In other words, it is the old saw that if producers would just get out of the way, more of the vital and defining characteristics of a vineyard and vintage will show through in a wine. Now, you won’t get any argument from me that minimal input winemaking produces a more interesting wine. But a lot of what passes for nuance and terroir in old world wines smells, to me at least, suspiciously like the same spoilage organisms we have over here in the new world combined in exotic and sometimes captivating ways. But I’m not interested in a terroir holy war. What I am interested in is this: how in the world are the French able to grow so much Brett in their whites? It’s a tough nut to crack, and there is no single answer. For instance, there is a sort of consensus the world over that Brett comes from both barrels and from the vineyard. New barrels seem to be a common culprit. Once Brett sets up house in a barrel it is pretty much there to stay, though populations can be managed through rigorous cleaning and use of sulfur dioxide (SO2). SO2, the preservative almost universally used in wine, in modest amounts can cause Brett yeast to go into a kind of hibernation. Many French producers do indeed use a lot of new oak, and so there may perhaps be a link there. But we use a lot of new French oak over in the States as well, often from the exact same coopers, and I haven’t noticed the same smells in American Chardonnays with anywhere near the frequency that I do in white Burgs. Brett is also sensitive to pH, or the acidity in wine. The higher the acid, the less hospitable the wine is for Brett. Typically a white Burgundy will have a much lower pH (higher acid) than its American cousins. Moreover, at lower pH (higher acid), SO2 is much more effective. All of which would argue for white Burgundy to be very resistant to Brett. So, as you can see, there are legitimate reasons why experienced wine tasters would not suspect white Burgundy to be a hotbed of B-funk activity. And yet here we are. 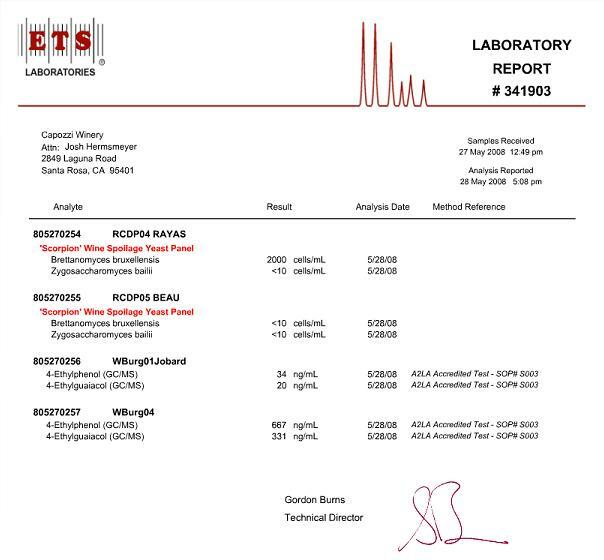 Below is the ETS lab report for four wines tested for Brett in various ways. The first two results are Rhone reds, an ’04 Rayas and an ’05 Beaucastel. They were tested for the presence of the yeast itself using genetic detection methods; the other two, white Burgs, were tested for the compounds produced by the yeast. Those compounds, 4-ethylphenol and 4-ethylguaiacol contribute different smells to a wine depending on their concentration and the ratio between the two of them. Sensory thresholds, or when we can actually start smelling the results of the Brett yeast, depend a lot on the nose doing the sniffing. ETS Labs argues for 300 ng/ml for 4-EP and 50 ng/ml for 4-EG, but your mileage will certainly vary. Another fun fact from ETS Labs: the ratio between the two compounds is typically between 3:1 and 10:1, with the majority of the aroma coming from 4-EP. As you can see, both white Burgs showed evidence of Brett. The second of the two, a Domain Michel Niellon 1er Cru, had a whole lot, and a ratio of 2:1 4-EP to 4-EG! The ’01 Jobard had just a little of both of the smellies. Moral of the story? If you think you smell Brett in your glass—even if it’s white, and especially if it’s French—you might just be right. And certainly don’t let anyone tell you it’s impossible. What of the two reds, the Rayas and the Beaucastel? It’s funny… I was sure the Beaucastel had Brett, probably for the very reason that the other winemaker thought the white Burg didn’t. Beaucastel has had a history of Brett in their wines, so I was just as guilty of pre-judging as anyone. In the end it was absolutely pristine (and delicious). I was imagining things. And the Rayas? Well, no one got that one wrong. It was filthy. – Josh Hermsmeyer, of Capozzi Winery, is a recognized expert on social media marketing for wineries. 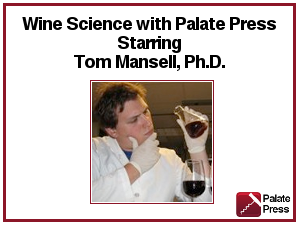 Trained at UC Davis in both economics and winemaking, he blogs at PinotBlogger. Good instinct of taking these samples directly to the lab in order to get scientific evidence. Scientific evidence is always good, and is just better when it confirms your instincts…! I will admit that my nose isn’t nearly as sensitive to Brett as other things. My blogging partner, Ed, can detect Brett at very low levels whereas I pick up on VA way before he does. But sniffers aside, clinical testing certainly conclude an argument. Wine makers have easier access to such tools, I don’t know many, if any, tasters that send wine out for lab analysis. I think that makes us even more susceptible to expectations and reputation. A local winery is proud of their unfiltered wines and even incorporates ‘dirty’ into their labeling. Combine the labeling and the reputation, then even I think I can smell Brett! Makes me curious as to how it would test out. Curious to know whether you have ever come across any other whites besides Burg you suspected of being Brett-y? I too have smelled/tasted whites that subsequently I described as “unclean” in my personal tasting notes, but never went to Brett as an explanation. Silly me! Thanks for the interesting post. Learned something new today. Always like that. @Bean & Julien – Thanks for the kind words! Bean, send me a sample and I’ll give you my opinion :-p 50/50 chance at being correct. At least. You can have Brett aromas without Brettanomyces. Some preparations of pectinase (made in Aspergillus niger, particularly) can contain cinnamyl esterase, an enzyme that Saccharomyces lacks but Brett does not. Therefore, precursors in wine can be converted to 4-Ethylphenols by the enzyme alone! Brett without Brett! “Heresztyn and Chatonnet demonstrated the strong link between 4-EP in wine and Brettanomyces. Subsequent research has shown that Brettanomyces is the only common organism in wine capable of producing 4-ethylphenol. As a unique by-product of infection, 4-EP is an excellent indicator of Brettanomyces presence and activity. not impugning your judgment, just letting you know there are non-biological sources of Brettiness. Also, I misspoke. CE in enzyme preps leads to vinylphenol production in some yeast strains (Pof+). Vinylphenol is smelly but not as potent as the 4-EPs. It has a clovey, medicinal smell that’s not unlike the band-aid component of Brett, so it could send up false alarms to winemakers concerned about Brett infection. You are right, though. Only the enzymes present in Brett make 4-EPs. Good topic- perfect timing one of my wine distributors was sampling out a BR Cohn wines today, and the merlot has barnyard all over it..I will share this article and the spoiled merlot with my class tonight.. Yet in a recent Washington Post Spirits article regarding micro brewed beers, the writer cited several brewers who are experimenting with controlled amounts of Brett to ehance the flavors of their beers. He went on to describe various experiemnts to control and understand the DNA of this yeast and control it. I must wonder. I perhaps hold an out-dated view to keep as far away from Brett infections as possible. For wineries, I’d say take all necessary measures to prevent or eliminate Brett. I’d recommend micro brewers walk very carefully into its possible use until proven techniques of control are established. Great post! I wonder if the strains of Brett we have here in America haven’t developed the ability to thrive in low PHs – I know many wineries that only purchase white barrels to avoid Brett. Do you know what the PHs and TAs were on the whites? Didn’t keep a record of the acid labs. I’m pretty sure we talking 3.2 pH or thereabouts. Thanks for the kinds words! Brett in craft beers is awesome. Sour beers are some of the most sought after by aficionados. Vinnie at Russian River Brewery makes one of the best with a pure Brett ferment. very cool stuff. Interesting. I’ve encountered a few white Burgs that have what I’ve described as a “Truffle oil note”. Wonder if it is Brett that I’m picking up. Fascinating article Josh! If I was forced to drink a wine with brett, please let it be a Zin with just a soupcon of 4-EG. I would have to say Brett character in CA wines is super, super rare. I’ve only seen it once in the last 10 years (from a filthy winery). The French example is not as surprising as its not uncommon to have red Burgundies with staggering levels of brett -therefore the whole winery is contaminated. Curious why you ran Scorpions on the reds and 4ep/4eg on the whites? Personally, I don’t find Scorpions useful except to ID an unknown organism. On the Beaucastel, if it was tightly filtered could it not have 4ep/g but show no Brett yeast? The answer re: the scorpions is simply that I was certain that both the Beaucastel and Rayas had Brett, so I just wanted to quantify it. While what you suggest may have occurred, Beaucastel claims all their wines are unfiltered. Grain of salt perhaps, but I tend to believe them. Great story. I wonder where the idea that whites were somehow immune to brettanomyces came from? What is wisdom: Brett is common in white Burgundy? Your evidence: 4-ethyl phenol and 4-ethyl guaiacol. Tasting: Do 4ep and 4eg cause the negative aromas? Biology: Do regular yeast produce 4ep and 4eg? Not sure what wisdom is, but I do know what empirical results are. I never claimed Brett in white Burgundy was common, only that 4ep and 4eg in white Burgs is not impossible. I think I backed up that claim. Are the aromas negative? Depends on who you ask. “Regular” yeast have never been shown to produce 4ep. In fact nothing other than Brett has been shown to produce 4ep. See the above comment referencing the work of Heresztyn and Chatonnet.